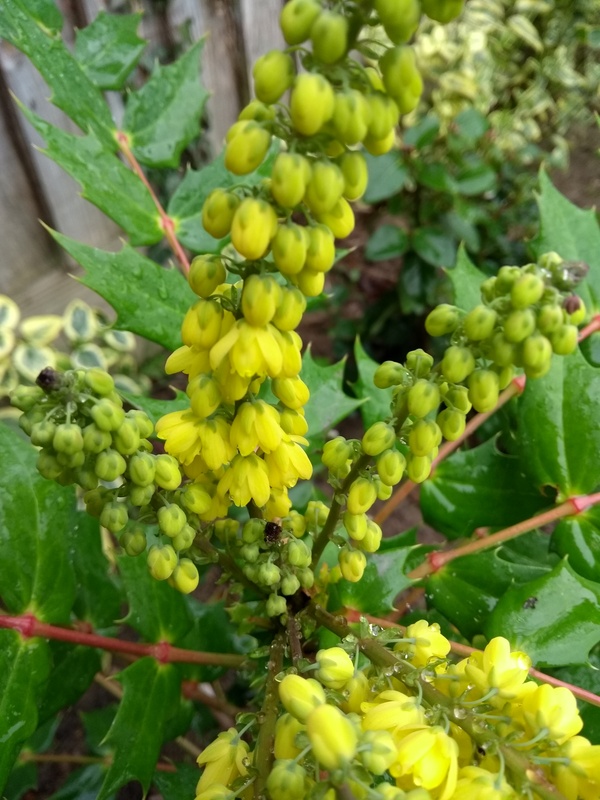 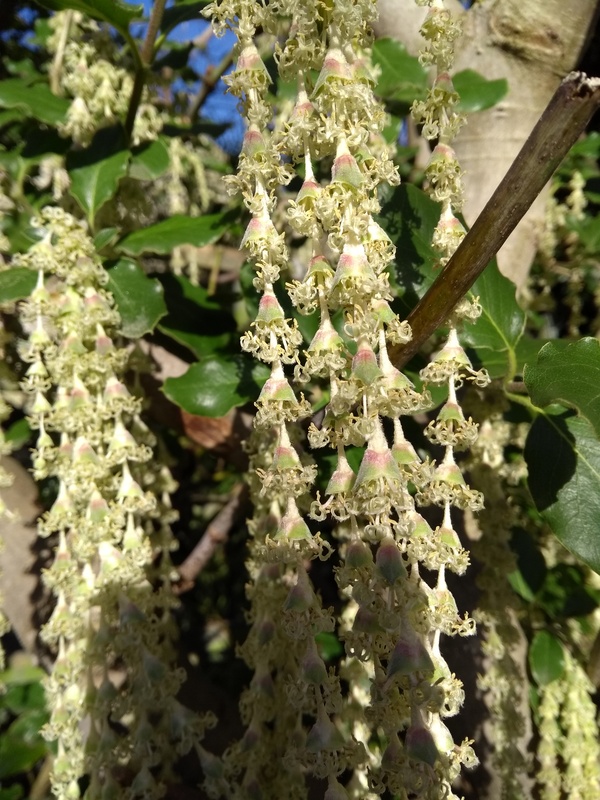 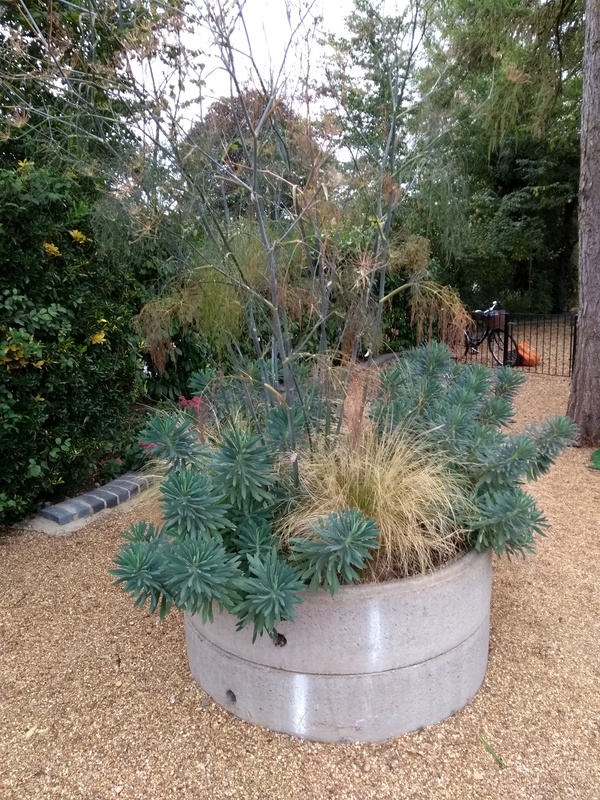 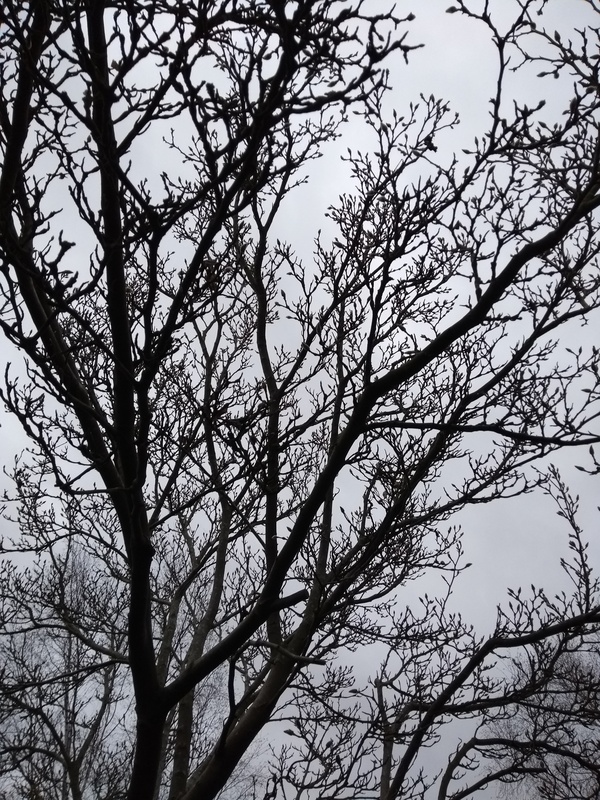 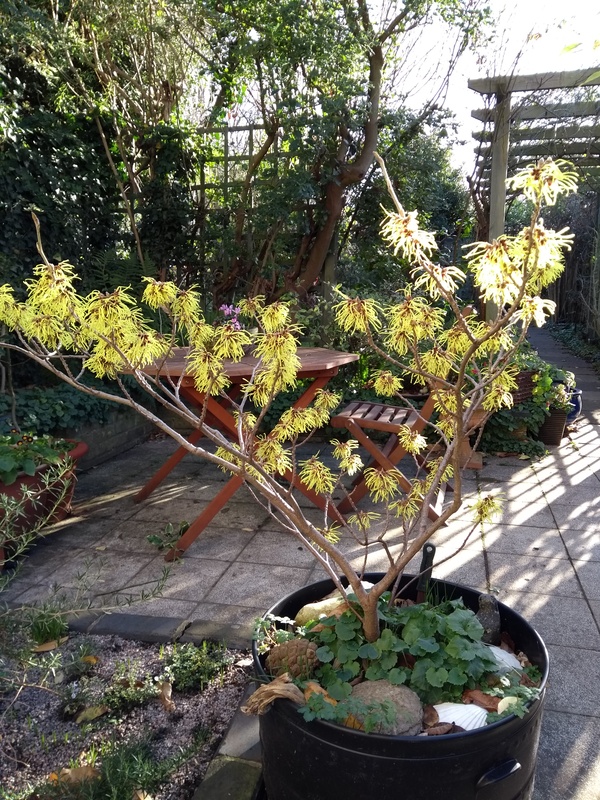 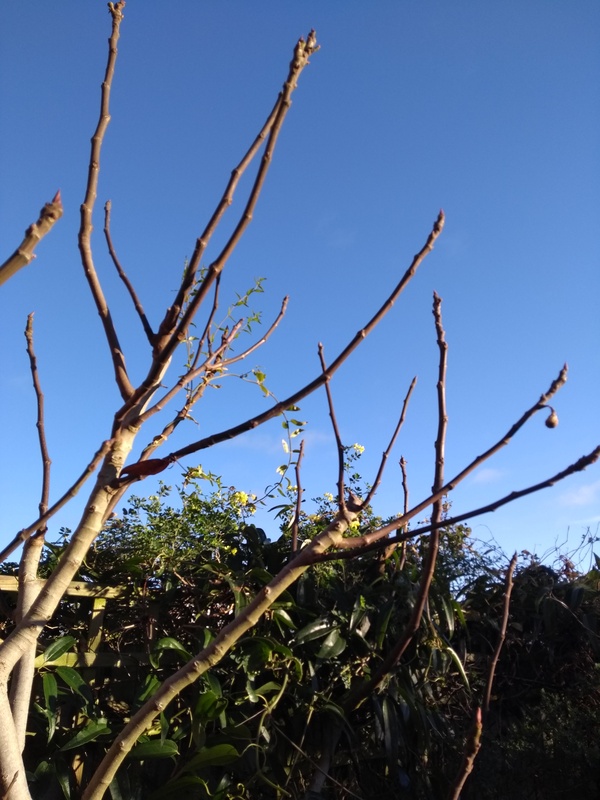 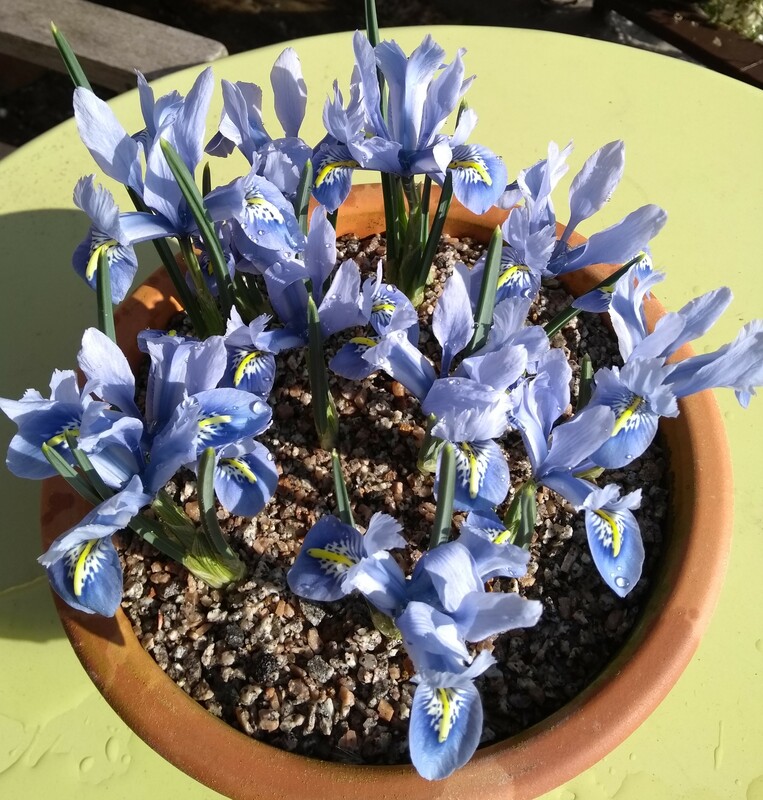 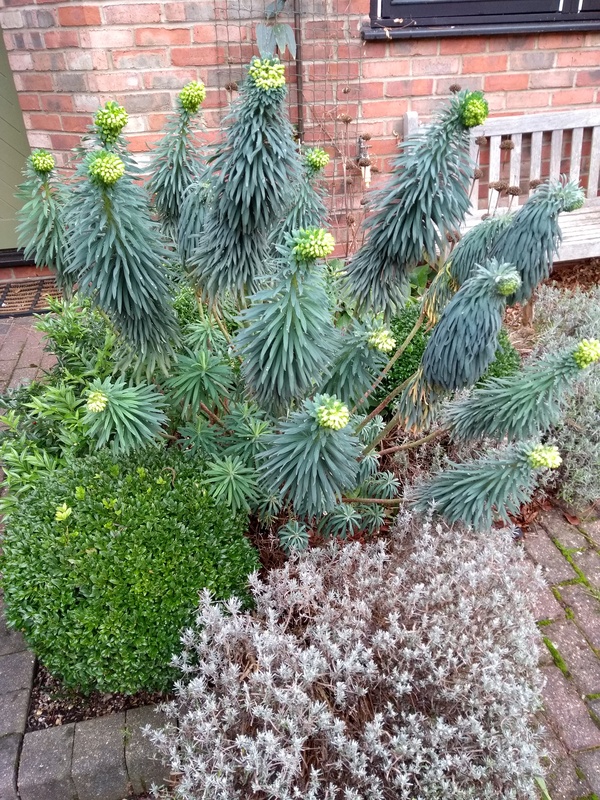 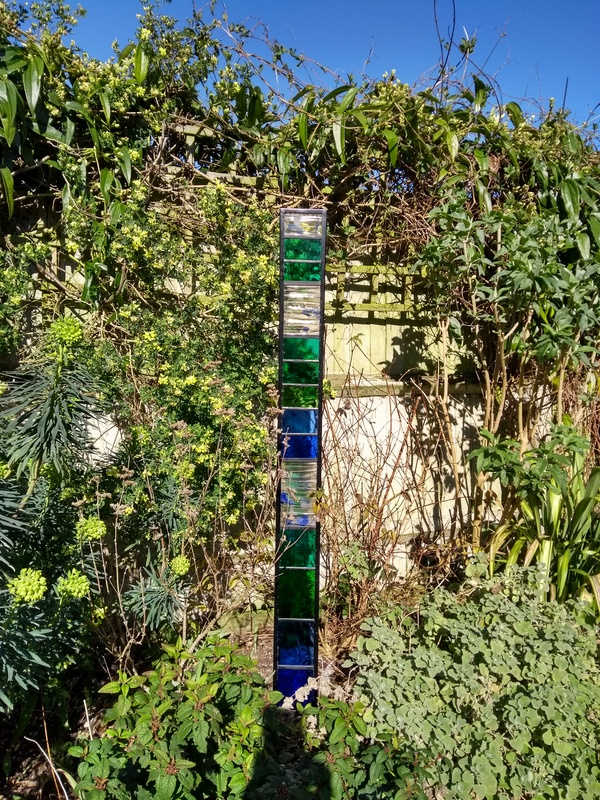 As the last leaves depart from my Fig tree, and much else in the garden, here are just a few images of some projects in the final month of this year. 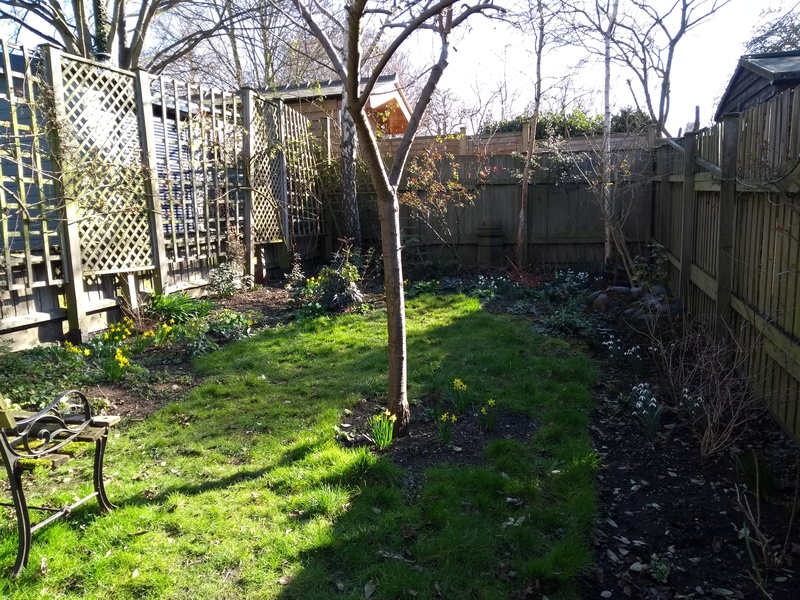 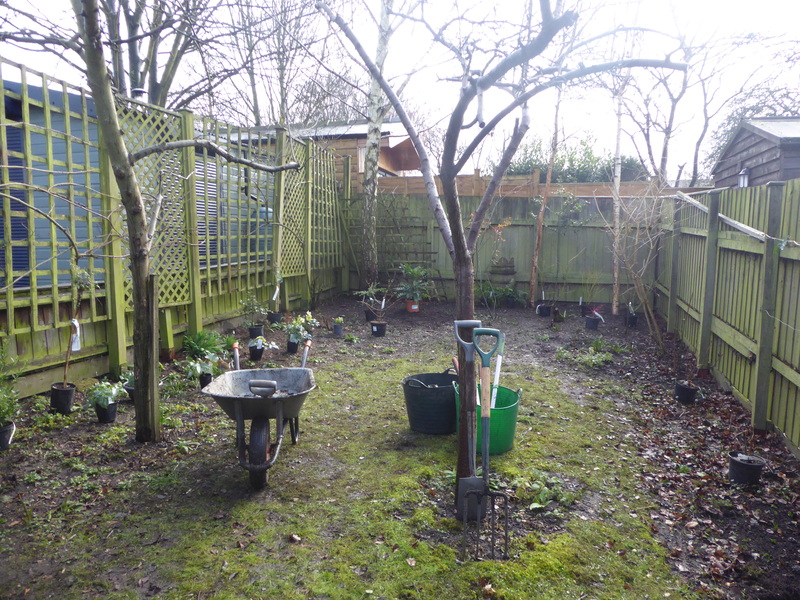 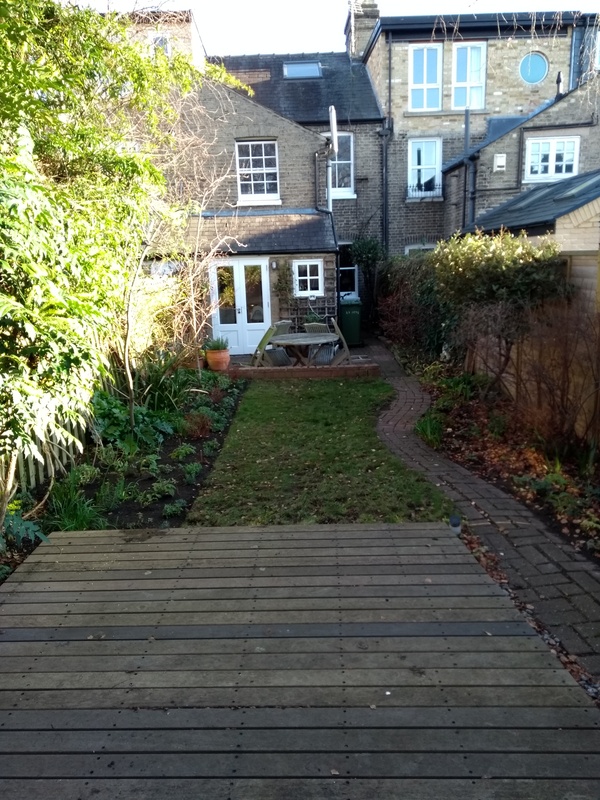 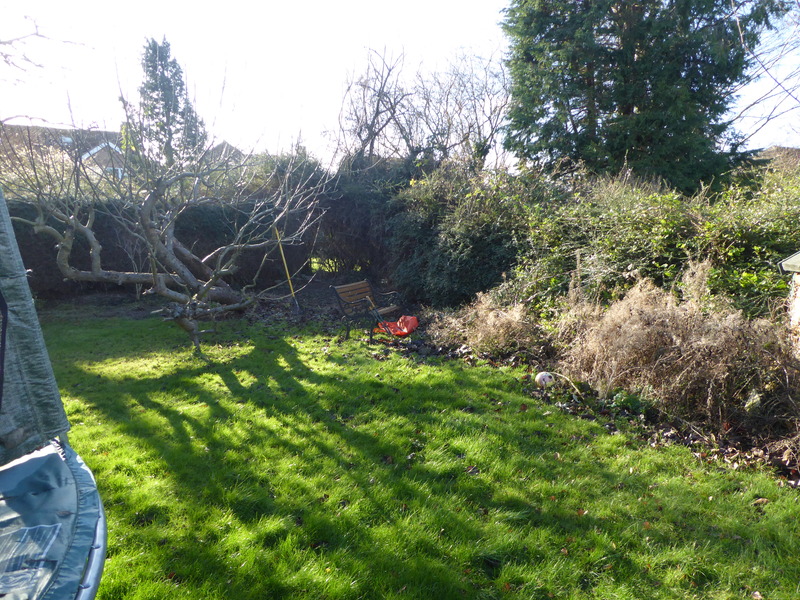 (Above) New client’s garden – beginning the order out of chaos – this photograph shows end of first session – and 14 bags of detritis cleared! 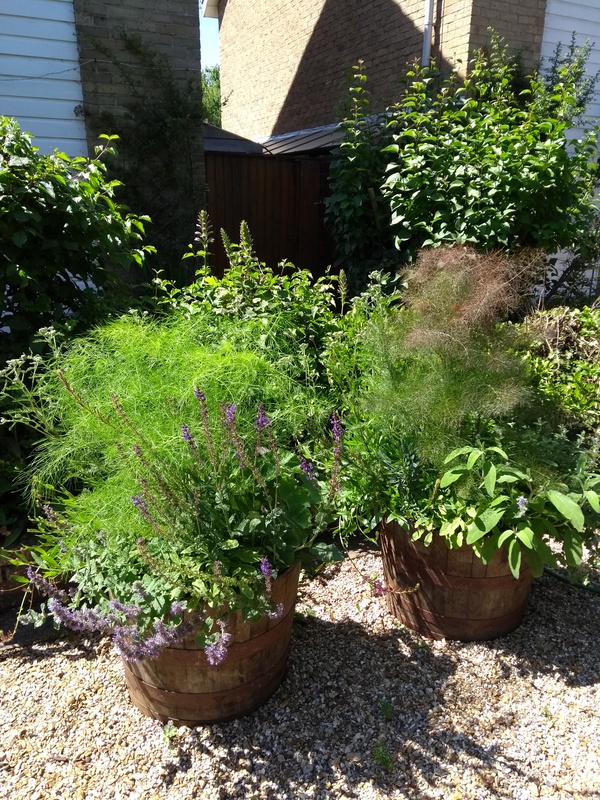 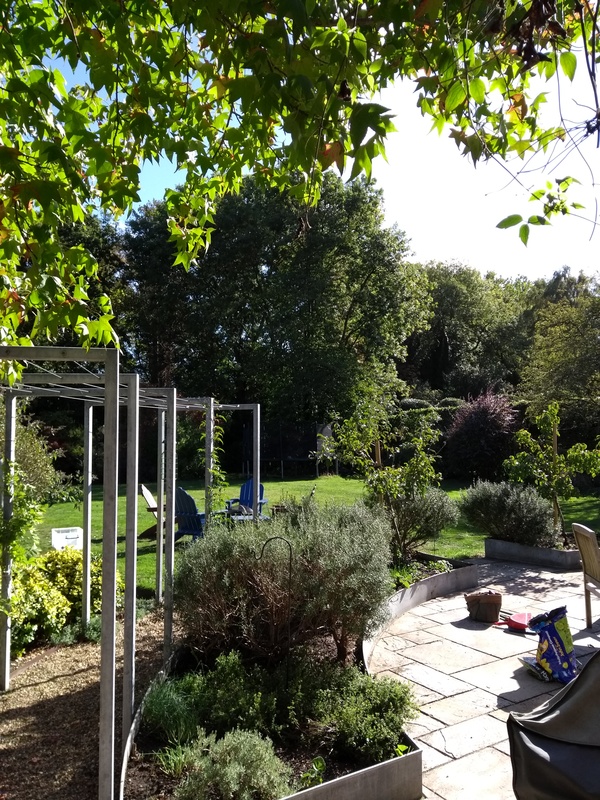 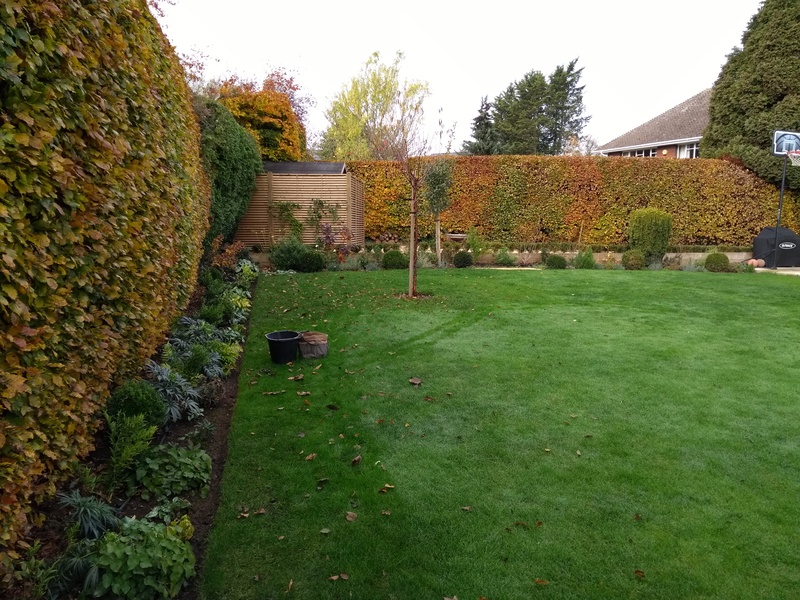 (Below) Client’s garden – one season’s work creating a well-planted shade bed on the right, and a completely new south-facing bed on the left. 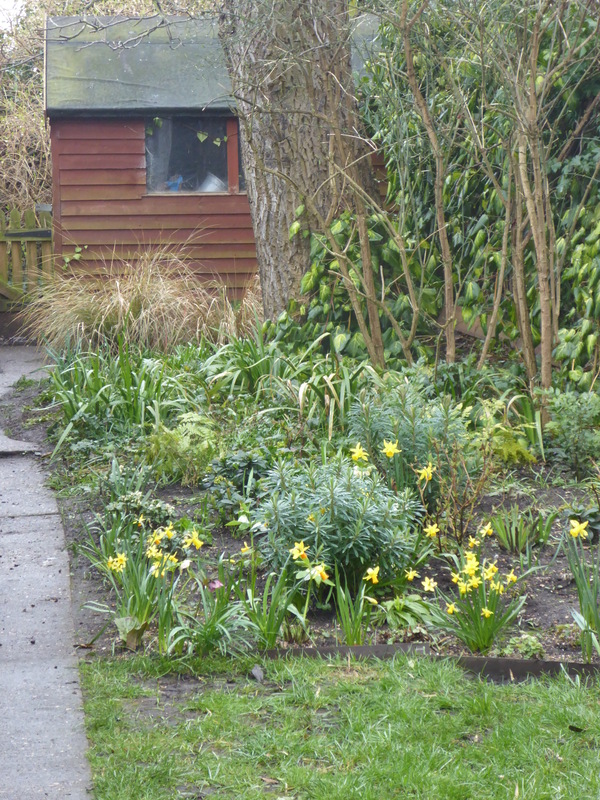 Watch this space to see the hot colours requested springing forth! 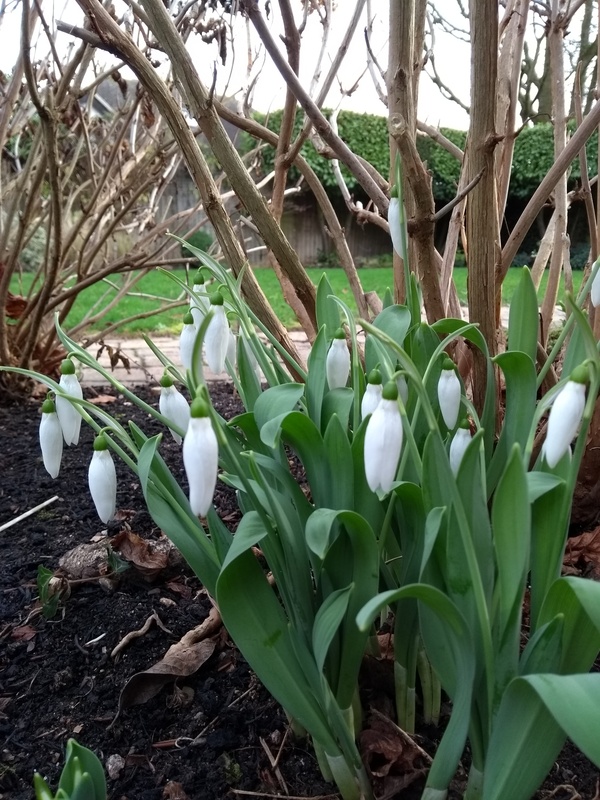 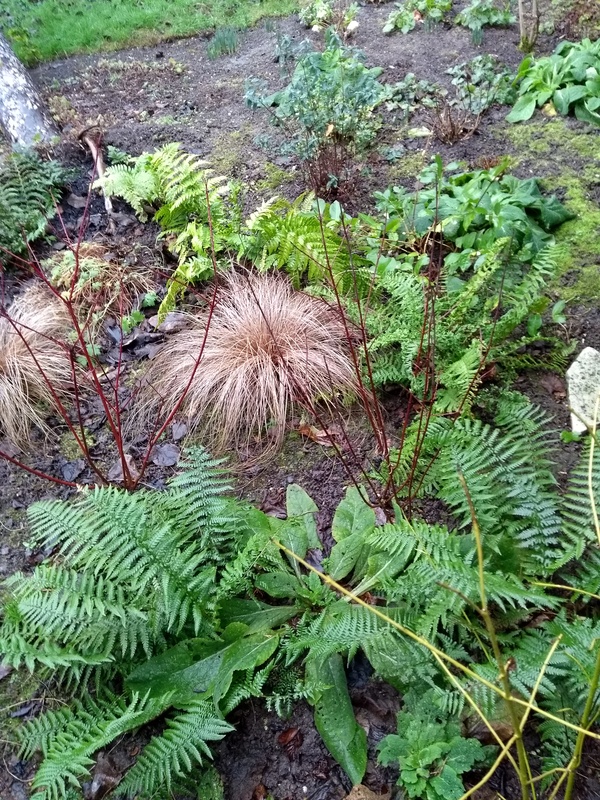 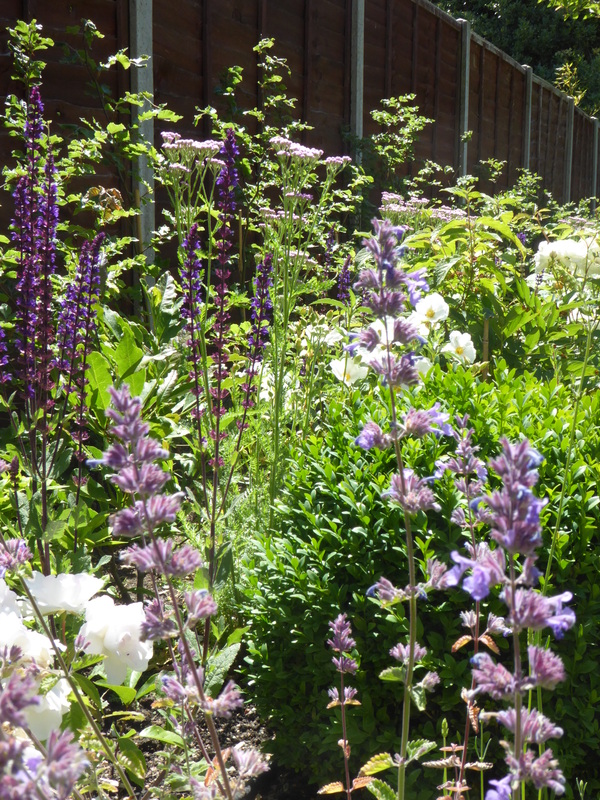 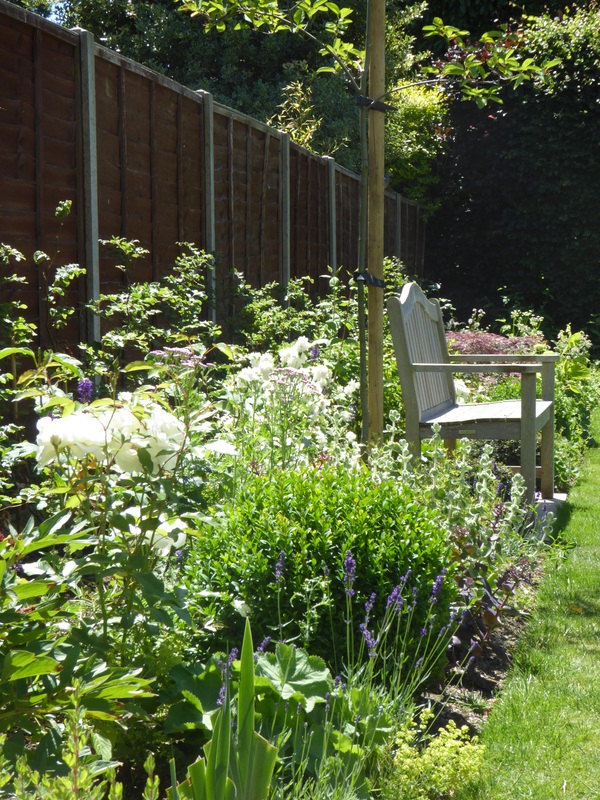 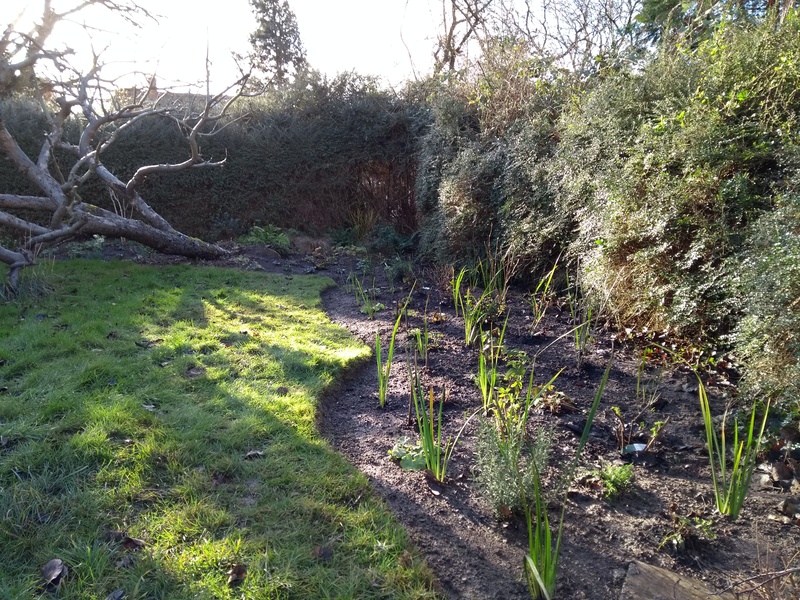 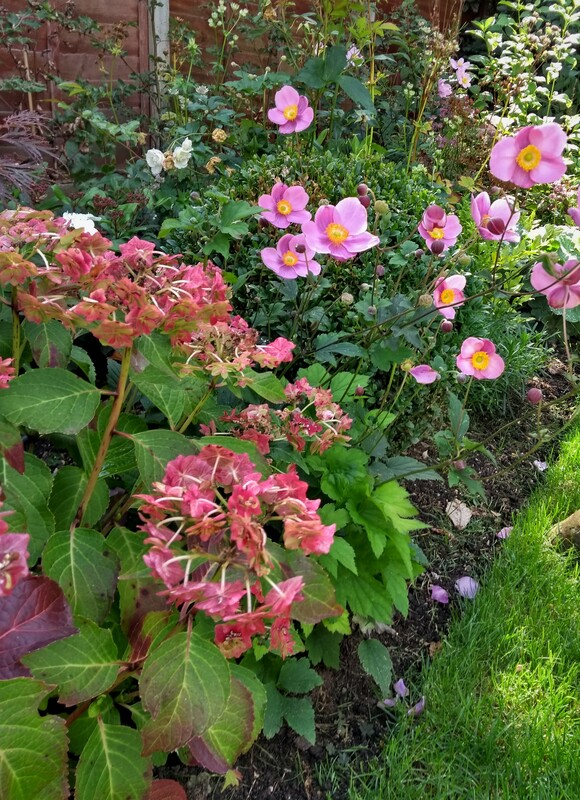 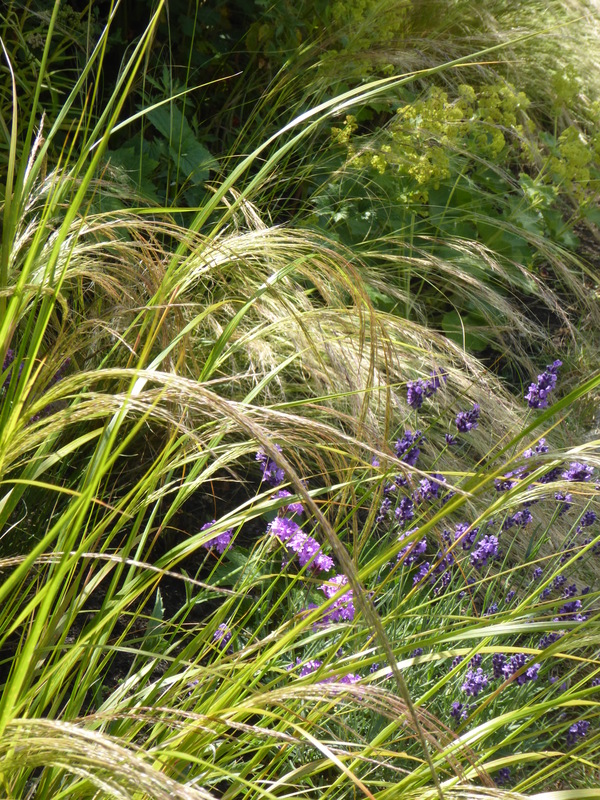 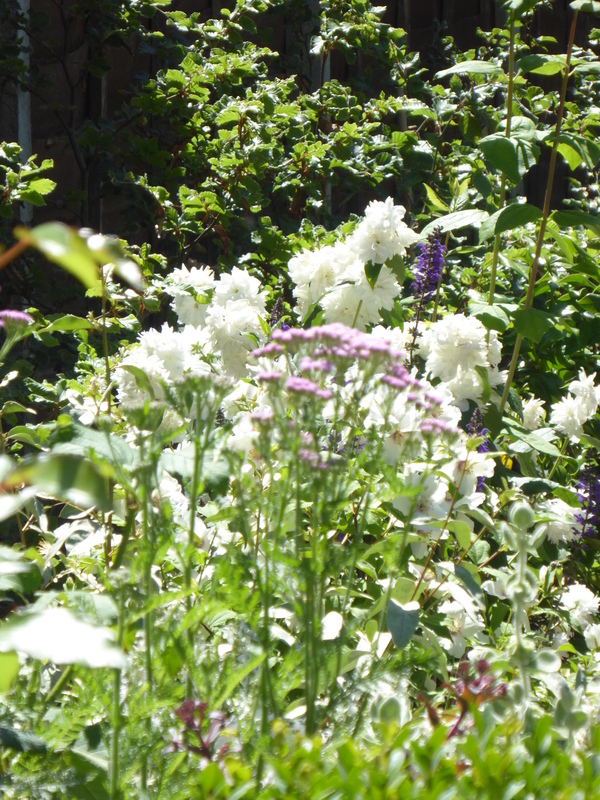 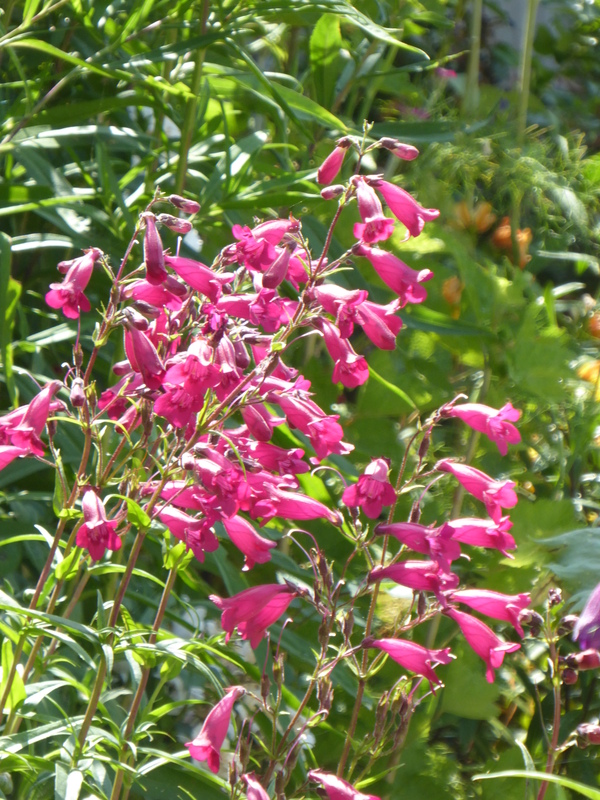 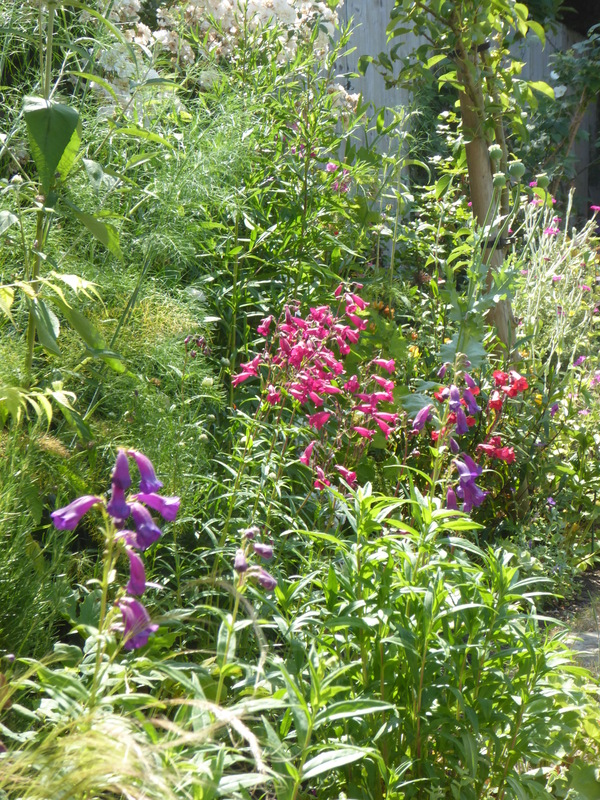 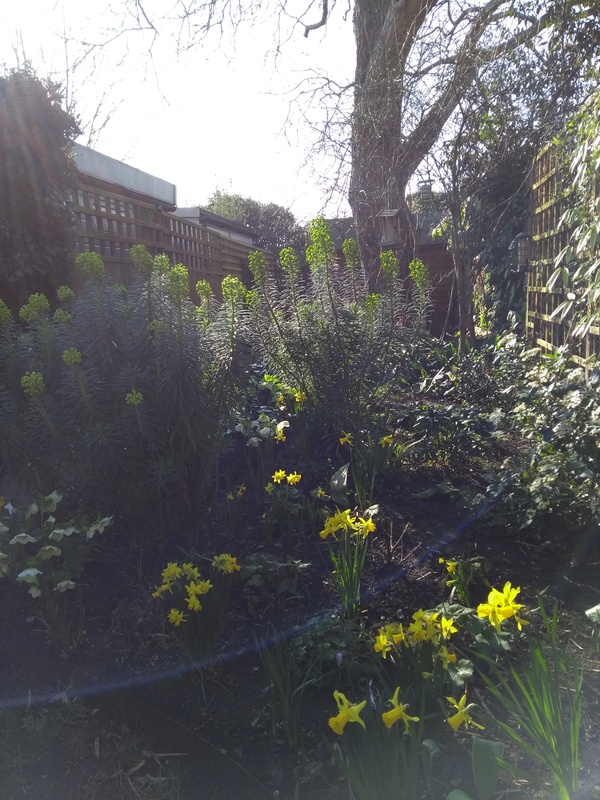 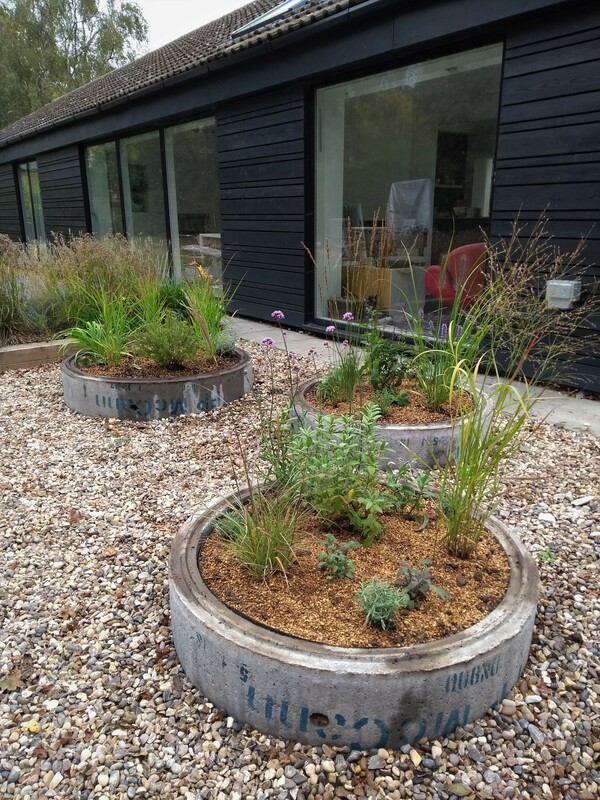 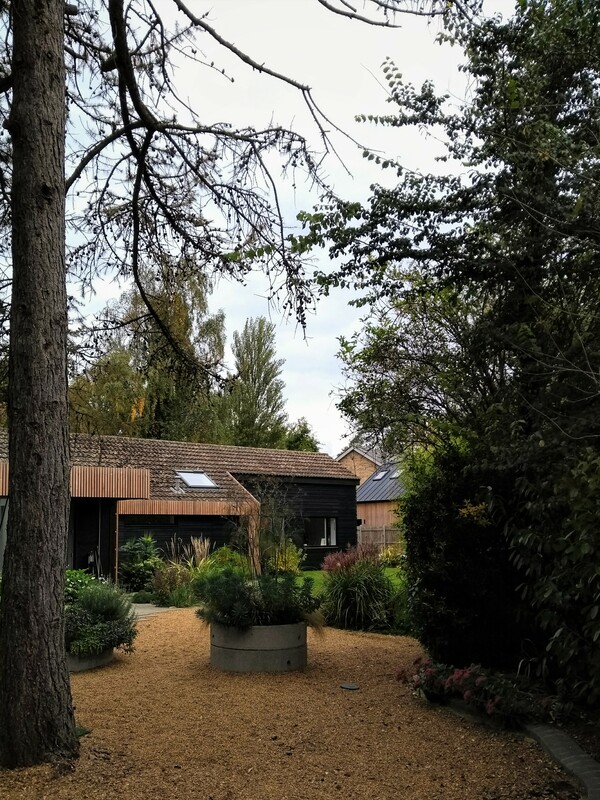 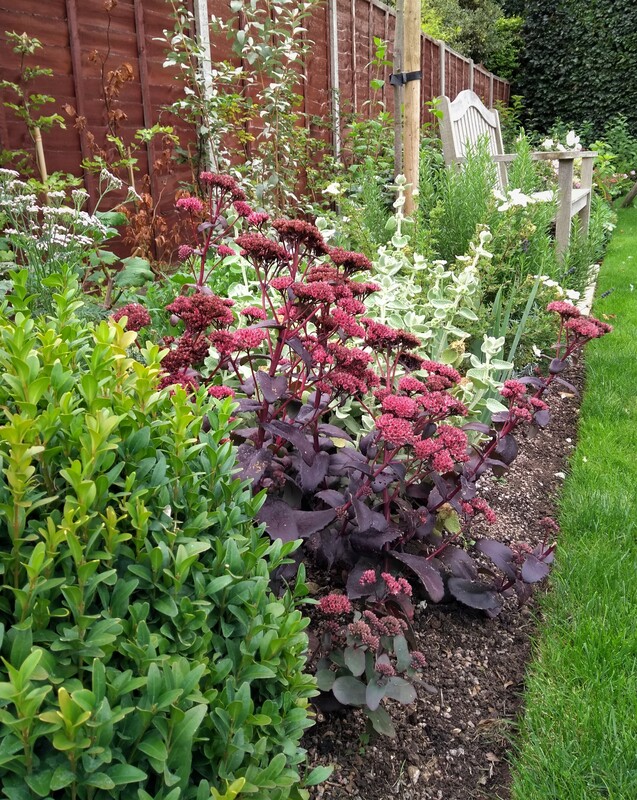 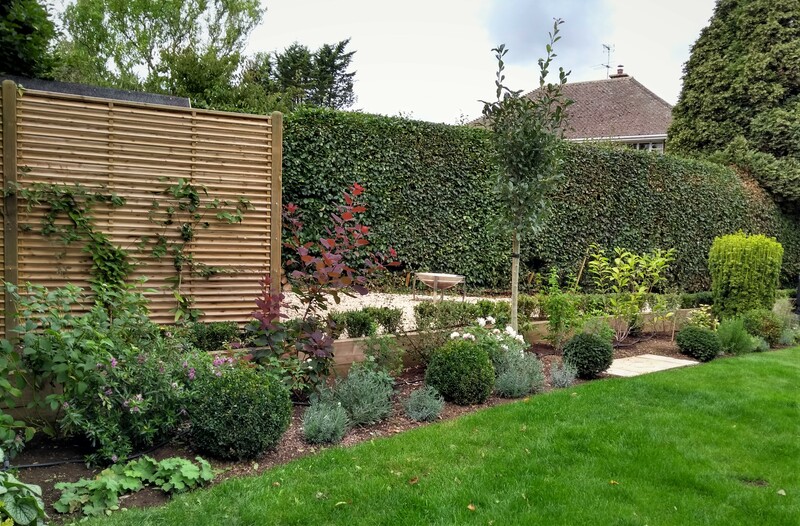 (Below) Client’s new planting maturing nicely after one whole year – last perennials to add in the spring to the far bed infront of the screen. 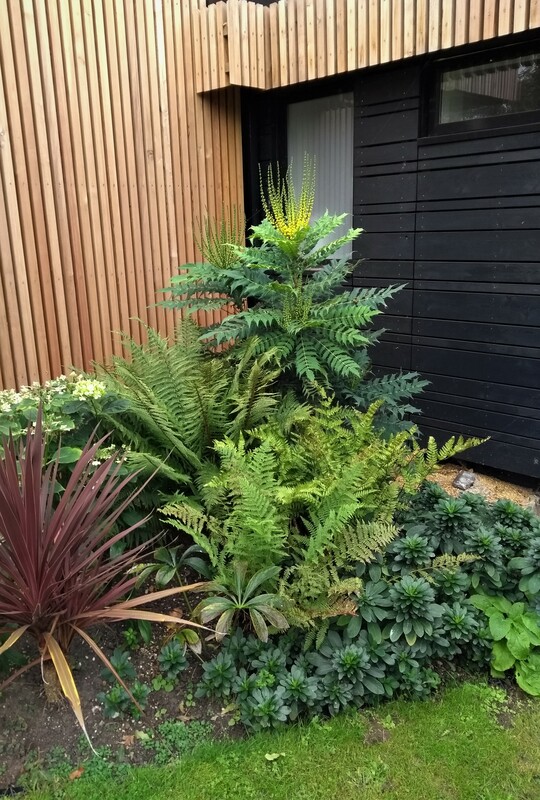 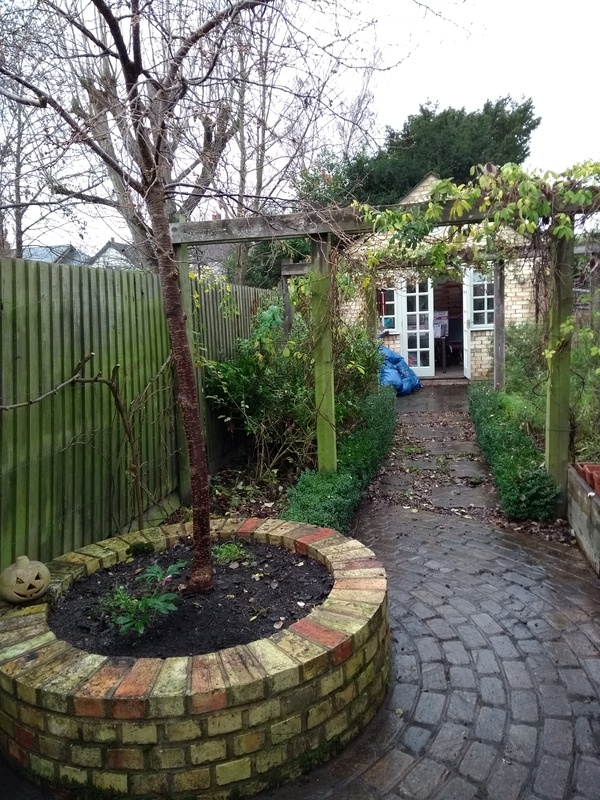 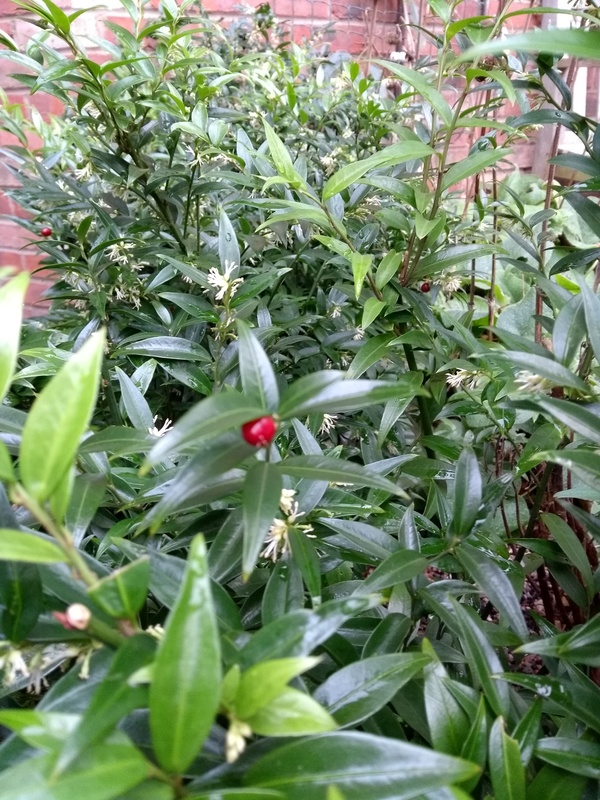 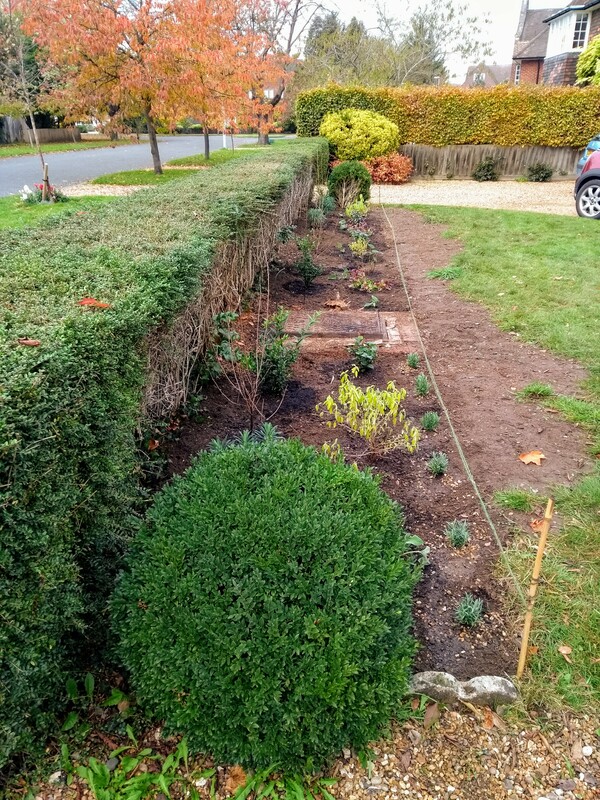 (Below – New client’s front garden bed newly planted behind established Lonicera nitida hedge – again watch this space to see the yellow/blue border come together in the new year. 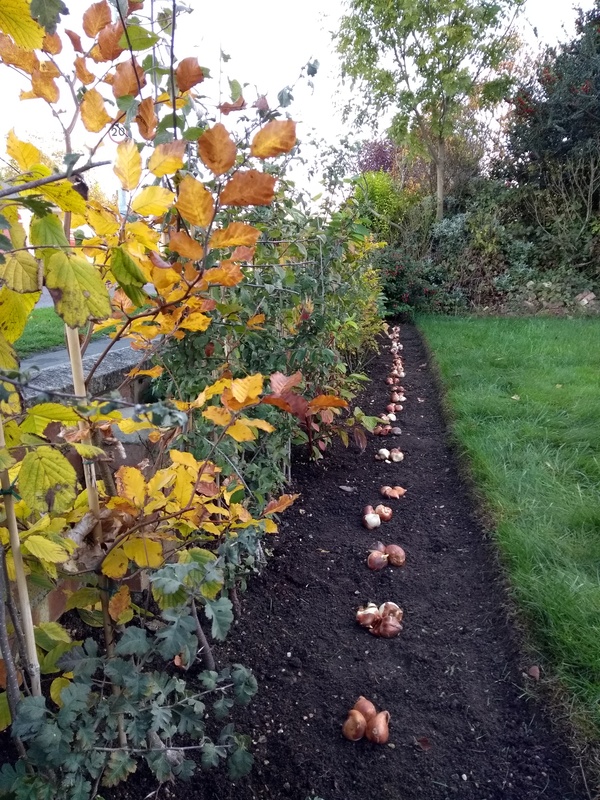 (Above) Tulips being added to the mixed native hedge planted last November – coming on nicely! 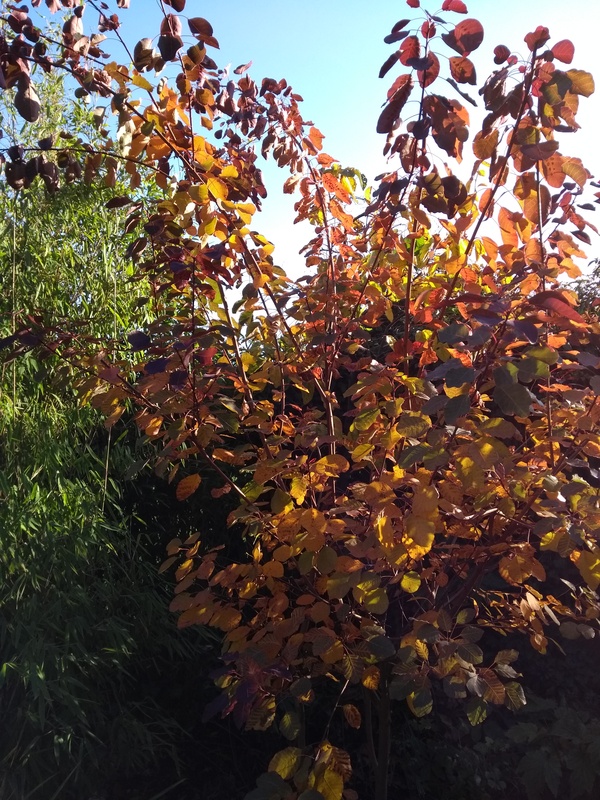 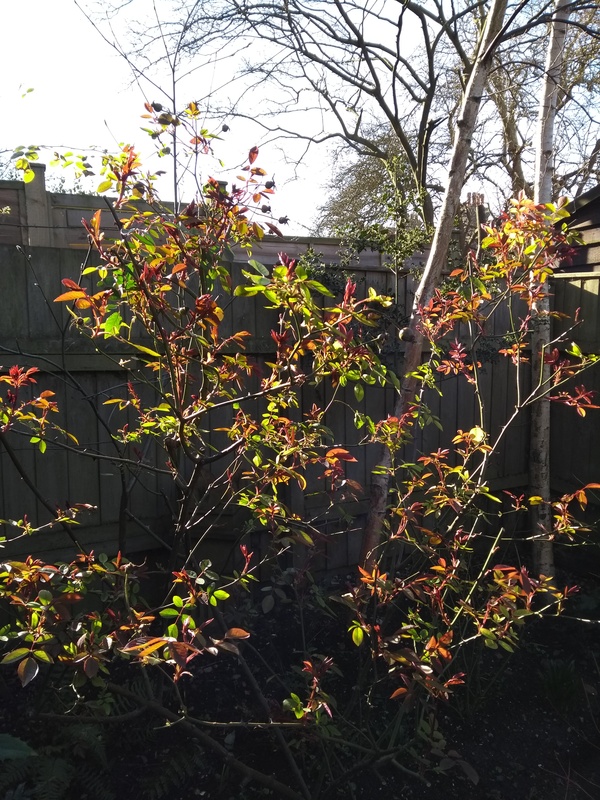 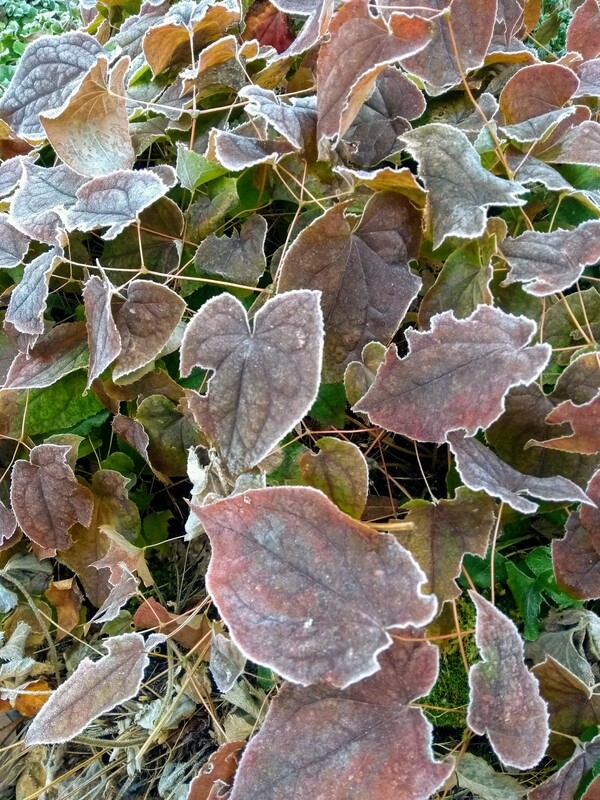 (Below) And my own Cotinus ‘Dusky Maiden’ looking rather lovely back lit by the low winter sun. 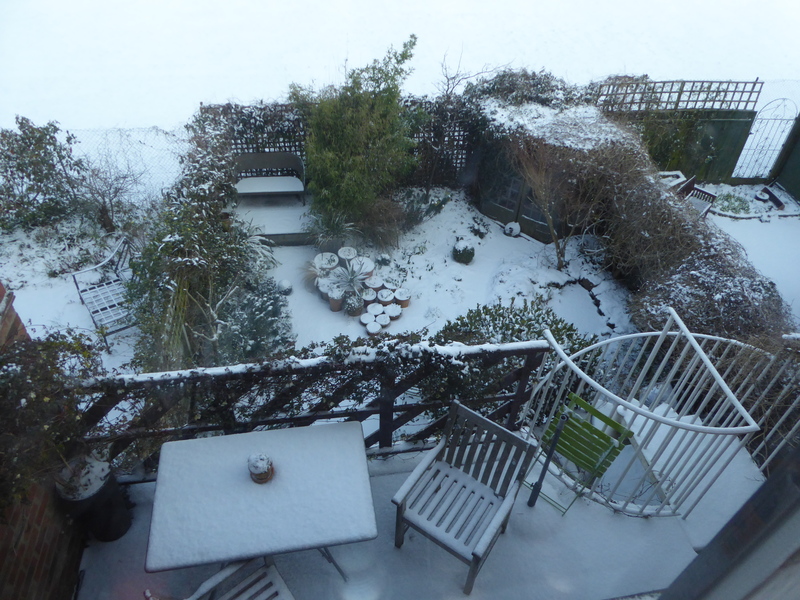 Merry Christmas and happy gardening to you all! 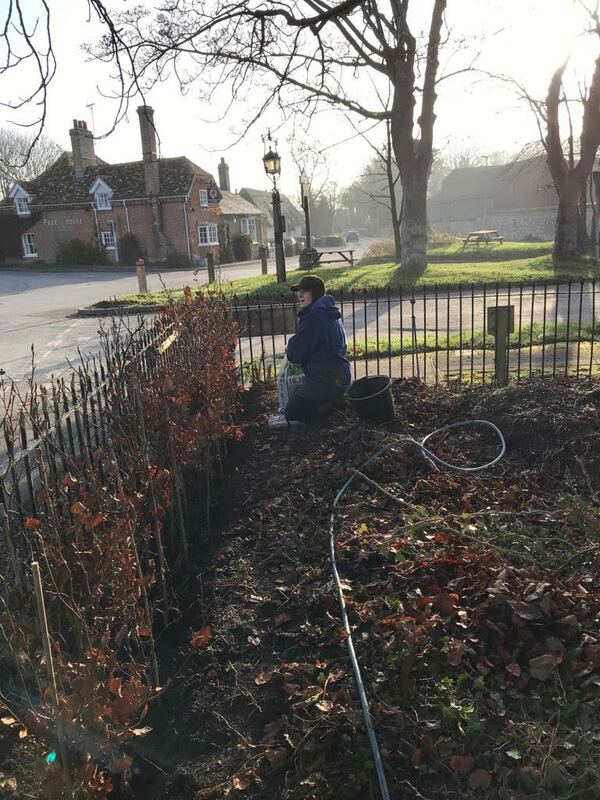 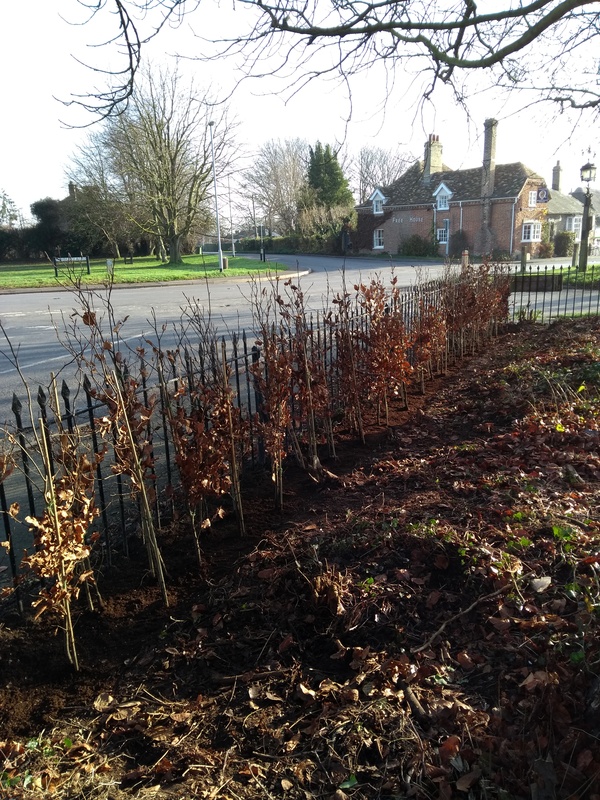 Here I am planting a new double hedge of 44 green Beech – a fun job on a cold December morning! 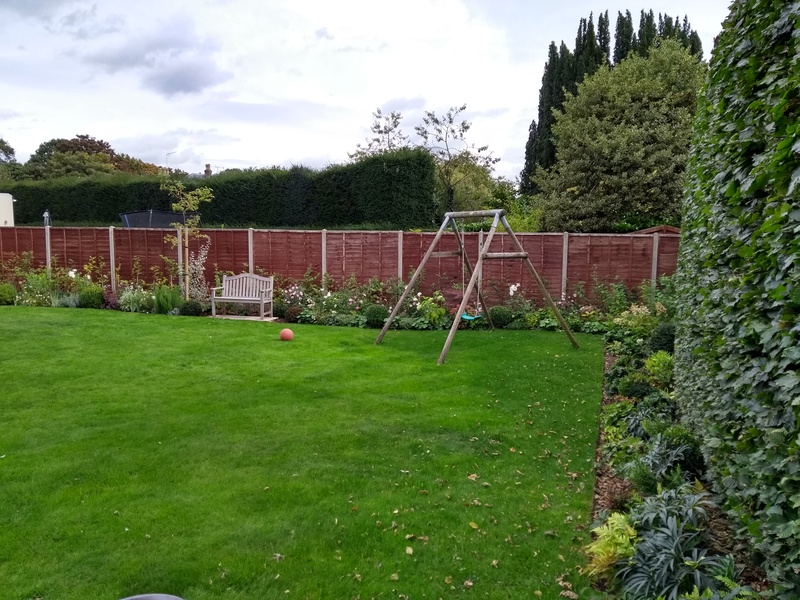 – and here is the finished project….